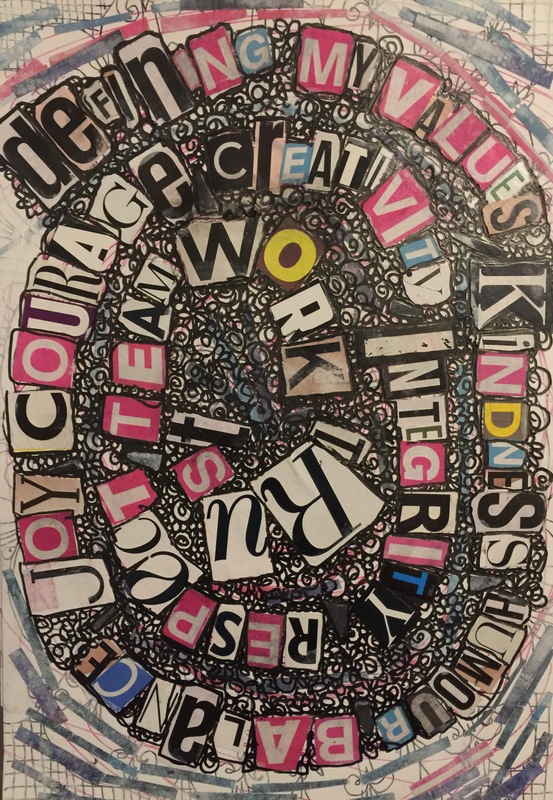 I do a weekly session with my friend Deb in Oxfordshire (over Skype) we call our posts #soulseedsessions ( which can be found on Instagram) Deb organises a meditation session with a group of friends and then I join in with the art. 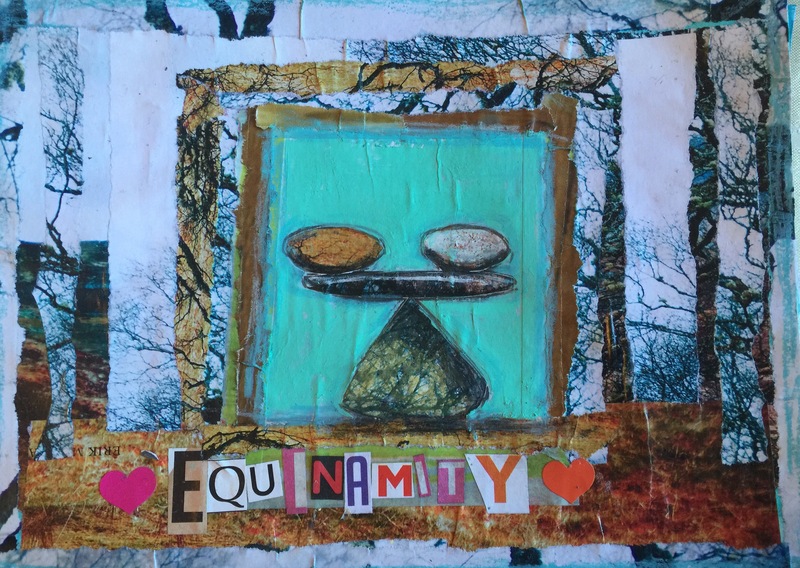 Below is this weeks journal page- I used collage to make a more complicated design than those shown above – I built up layers of background using an image of a tree – Deb provides the layout and ideas; I tend to develop it in my own way. 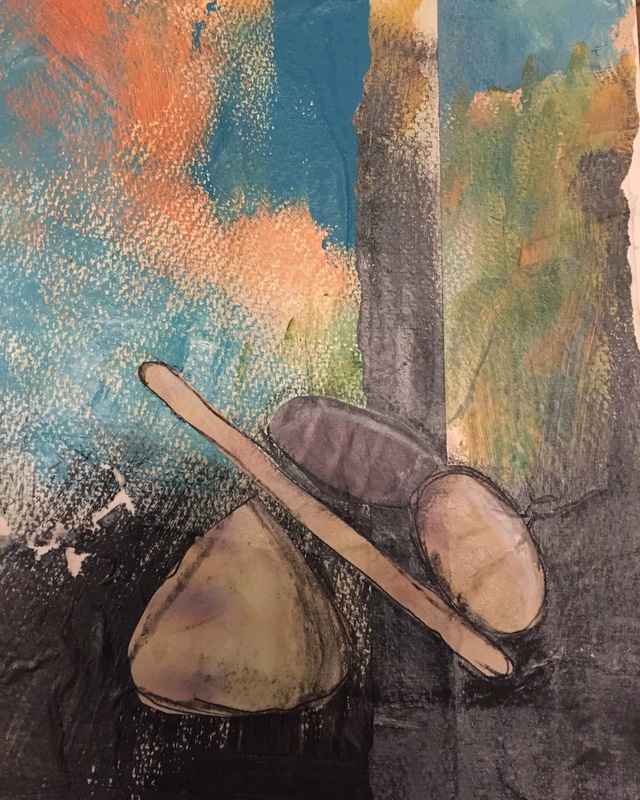 The back ground is acrylic paint that I used in a teaching session – to wipe my brush inbetween colours and to use up paint that would other wise be wasted . The stones are cut out of a magazine page and then shaded with watersoluble wax crayons. 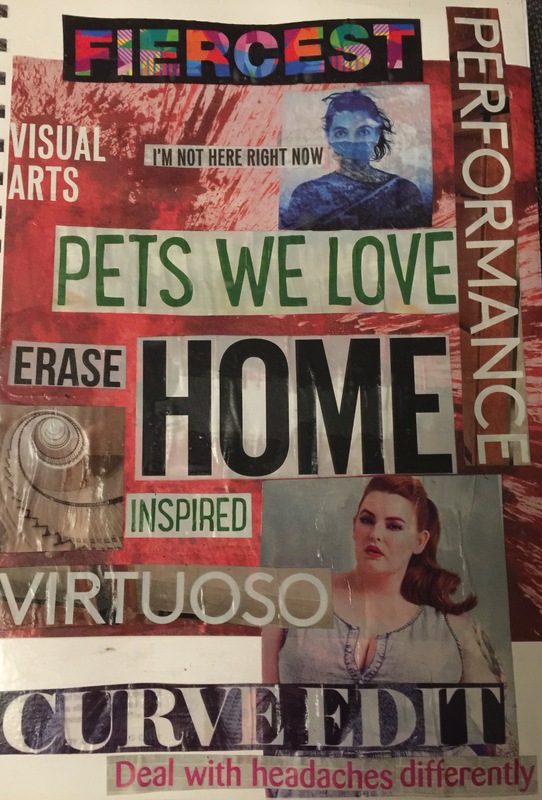 This entry was posted in Uncategorized and tagged art journalling, counselling, layers, lisa sonora, mixed media, shelley Klammer by tesswyatt. Bookmark the permalink.